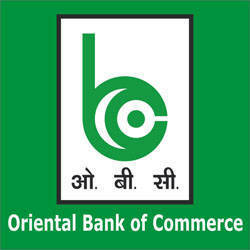 Oriental Bank Of Commerce (OBC) Published Recruitment Notification for Senior Manager (FA) - Chartered Accountant, Taxation), Senior Manager (FA) - Chartered Accountant Ind AS Cell, Manager (FA) - Chartered Accountant and Assistant Manager (Financial Analyst) Posts. Qualification : Passed the Respective CA Exam in 1st attempt from "The Institute of Chartered Accountants of India"
Qualification : Candidate should have Passed the Respective CA exams in 1st attempt* from "The Institute of Chartered Accountants of India" with or without Experience and Age Should not be more than 24 years as on the Date of Passing of the CA Final Examination. OR Candidates who have Passed the Respective CA exams from "The Institute of Chartered Accountants of India" in more than one Attempt should Possess Minimum One year Post Qualification Experience in Financial Sector. Qualification : Full Time MBA in Finance / Full Time PGDBM of Two years with Specialisation in Finance / Qualified Chartered Accountant / ICWA / CFA from a Recognised University / Institutes Recognised by the Central Government.